Todd R Burmeister D.P.M., F.A.C.F.A.S. Dr. Burmeister received his Bachelor of Science degree from the Florida State University and his Doctor of Podiatric Medicine degree from the University of Osteopathic Medicine and Surgery in Des Moines, Iowa. He completed his surgical residency in Miami, Florida. Dr. Burmeister is a Fellow of the American College of Foot and Ankle Surgeons and Board Certified by the American Board of Podiatric Surgery. His strengths are the knowledge and flexibility that comes from many years of training and experience and has been in practice in Naples for over 25 years. R. John Salm D.P.M., F.A.C.F.A.S. Dr. Salm received his Bachelor of Science in Biology degree from the University of Western Ontario and his Doctorate of Podiatric Medicine at the Ohio College of Podiatric Medicine. Dr. Salm completed an intensive 2 year surgical residency at Fountain Valley Regional Hospital in southern California. A Fellow of the American College of Foot and Ankle Surgeons and Board Certified in Foot Surgery, Dr. Salm is also a member of the Florida Podiatric Medical Association. 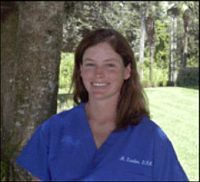 Dr. Salm has practiced over 18 years and is an active member of the Naples community. He takes pride in personable quality medical care and is always at the forefront of new technology in his field. Therese M. Hixon D.P.M., F.A.C.F.A.S. Dr. Hixon is a proud local graduate from Lely High School who furthered her education at Florida Atlantic University in Boca Raton, Florida. She then went onto Barry University in Miami, Florida where she received her Doctorate of Podiatric Medicine. Her post graduate training included an intense two year surgical residency at Parkway Regional Medical Center in North Miami, Florida. Dr. Hixon then decided to make her way back home to Naples and has been practicing with the Foot and Ankle Management Group for over 12 years. Board Certified by the American Board of Podiatric Surgery and Fellow of the American College of Foot and Ankle Surgeons, Dr. Hixon is also a member of the American Association for Women’s Podiatrists. Megan G. Lawton D.P.M., A.A.C.F.A.S. Dr. Lawton received her Bachelor of Science in Biology degree from Bethel College in Arden Hills, Minnesota and her Doctorate of Podiatric Medicine and Masters of Biomedical Sciences from Barry University in Miami, Florida. She then completed a 3 year residency at the Grant Medical Center in Columbus, Ohio. Board certified in Foot Surgery and Associate of the American College of Foot and Ankle Surgeons.Dr. Lawton is also a member of the Collier County Podiatric Medical Association. As an avid athlete (completing numerous Ironman triathlons), Dr. Lawton recognizes the importance of quality foot and ankle care.Combining extensive medical and surgical training she is able to provide detailed treatment plans and options specific to the patients needs. Dr. Cliff Burmeister graduated with a Bachelor of Science in Biomedical Sciences from the University of South Florida in Tampa, FL and received his Doctorate from Barry University School of Podiatric Medicine and Surgery. Dr. Burmeister then completed a 3 year, Foot and Ankle Surgical Residency with added credentials in rearfoot and ankle reconstruction from Bethesda Hospital in Boynton Beach, FL. He served as Chief Resident in 2014-2015. 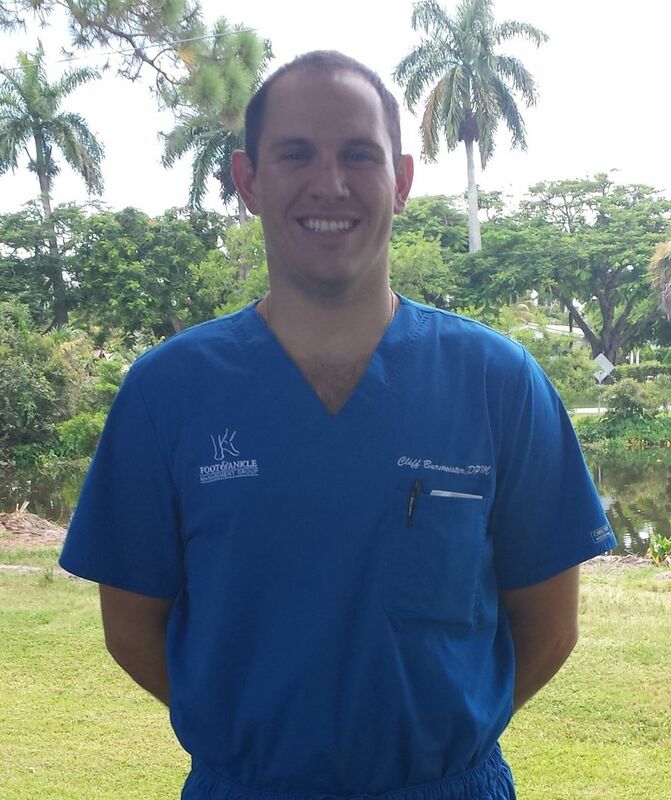 Dr. Burmeister was raised in Jacksonville, FL and is a proud native Floridian. As an Associate of the American College of Foot and Ankle Surgeons, he specializes in foot and ankle surgical reconstruction, revision surgery and ankle arthroscopy. While specializing in surgical treatments of the lower extremity, Dr. Burmeister still enjoys compassionate, palliative care for common ailments of the foot and ankle. He is also current in the latest, cutting edge modalities involving stem cell therapy for sports medicine injuries and other inflammatory condtions.